This beautiful lapis colored resin statue is handmade in Nepal by master sculptors. 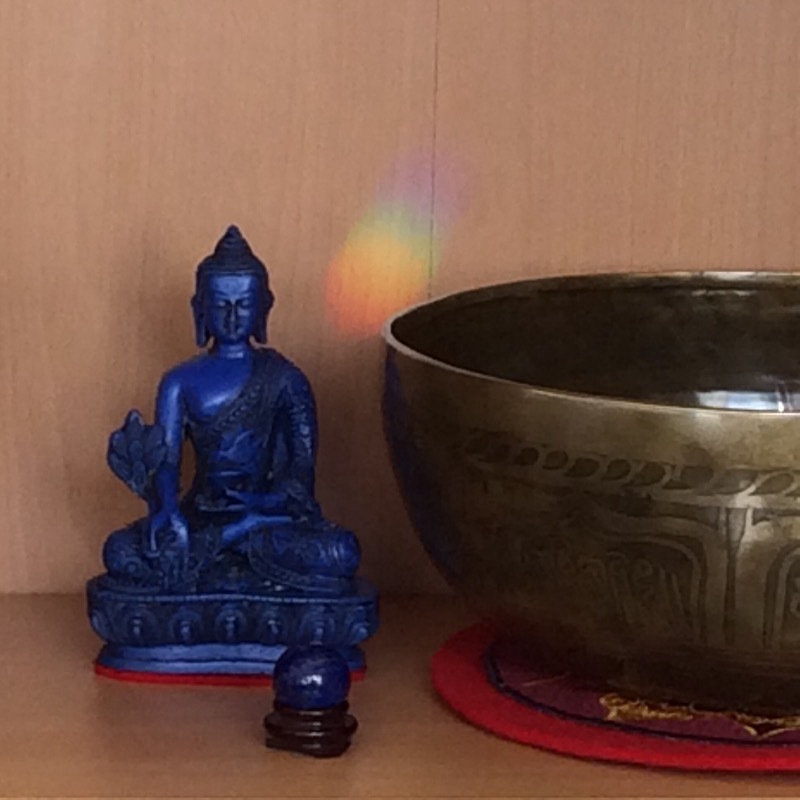 It features the Medicine Buddha seated on a lotus platform, holding a vase in the left hand and meditating calmly. Statue includes intricate carvings that really bring it to life. Statue measures approximately 5 1/2 inches tall and 3 1/2 inches wide. Correct delivered in The Netherlands ! It needed a few weeks but I got during the transport time the information about the status and the order was delivered as expected ! Nice status made in beautiful Nepal. Jan, thank you so much for taking the time to write a review and including some great photos! We appreciate your patience while waiting for your parcel also. The statue looks great in your space! Thank you for your feedback and continued support! This is was great purchase! Wonderful mid-size statue and nice color. Great detail. Don't worry, you'll be very pleased. As always, I'm delighted by the Dharma Shop. This was probably my 20th purchase and I love them! Renee, thank you for your feedback! 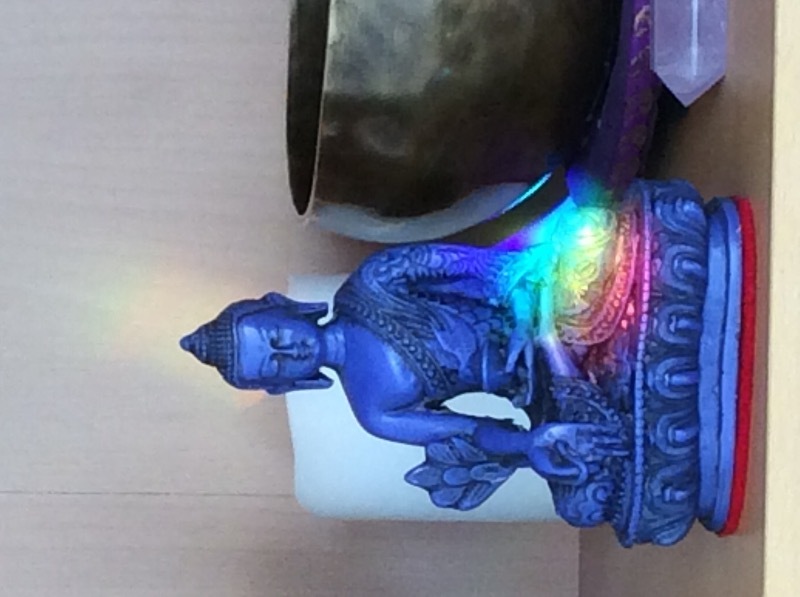 We're so excited to hear that you're loving your Medicine Buddha Statue! If you ever take any picture of the statue in your space, please never hesitate to post it to our Facebook wall or tag us on Instagram (@thedharmashop). We appreciate you taking the time to write a review and thank you for supporting Himalayan artisans! This Buddha statue is a beautiful blue lapis color. The small smile and the serenity of the statue is friendly and comforting. A perfect little companion for my work desk. Heidi, thank you for your feedback! 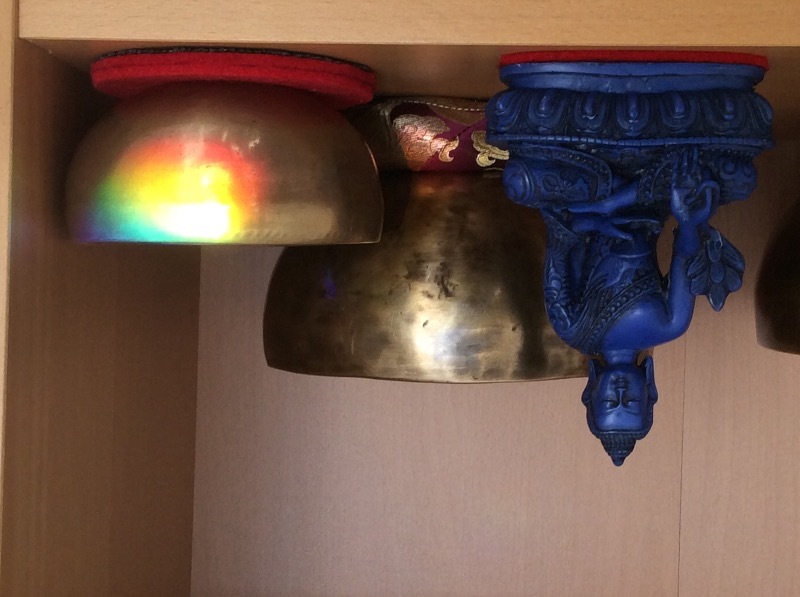 It's great hearing that you're loving your buddha statue as much as we do! It's definitely a favorite of ours and we're happy it can provide comfort to you while you're at work. We appreciate you taking the time to write a review and thank you for supporting Himalayan artisans!